Who was Nora targeting as an audience? Nora Lumb submitted her autobiography for The Burnett Collection for Working-Class Autobiographies. Due to the particular class of the author the audience and purpose of the piece of work is uncertain to an audience. An autobiography has many different interpretations of definitions according to William L. Howarth, “The ‘true’ autobiography, in his opinion, tells us not merely of remembered deeds and thoughts, but is for both author and reader ‘a spiritual experiment, a voyage of discovery.’” (Howarth, W.L, 1974). This is something to keep in mind while enjoying Nora’s work. 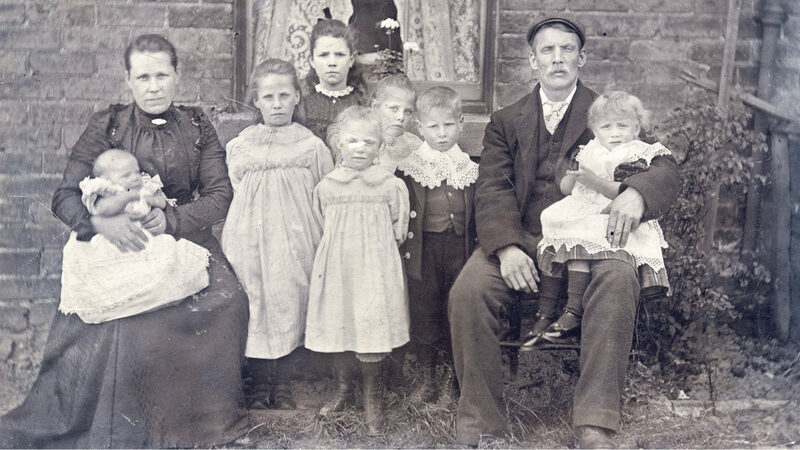 An image of a working-class family in the 19th Century. Similar to what Nora’s mother would have been a part of. The first thing experienced through Nora’s autobiography is her tone of modesty in her memoir. She speaks, during her account of her childhood memories, of experiences that other working-class children would have experienced. This leads the audience to believe that her autographical memoir could have been written for a working-class audience who could relate to her struggles growing up. She speaks of her large family, “My mother was the fourth eldest of thirteen children.” (Lumb, pg. 1) and her struggles with education and her family’s lack of funding for the topic because of her gender, “My brother was already at the Grammar school, (…) although loving parents they held the old-fashioned view that it was not so vital for a girl.” (Lumb, pg.12). Nora writes her memoir as a reminiscing piece rather than the informative tone. Nora’s depiction of her childhood differs, because she concentrates on the positive times she had with her family, “I was about two years old sitting with my mother, father, older sister and brother in a train en route for a holiday in Bournemouth.” (Lumb, pg.1) This memoir primarily worked as an opportunity to look back on her fond memories of times shared with her family rather than to inform the audience of the period when she grew up. 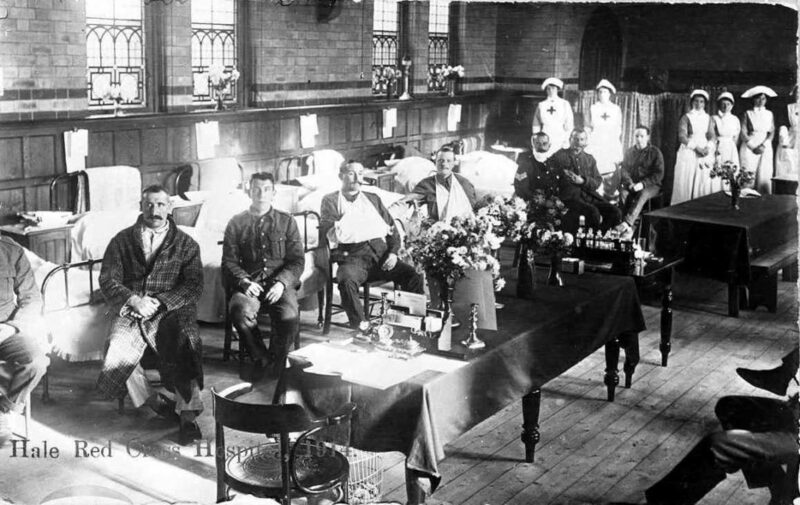 An image from the Hale Red Cross Hospital in a Church Hall, similar to what Nora would have witnessed in her own church during the war. Nora begins her memoir with, “I can distinctly remember when I was about two years old..” (Lumb, pg. 1) This introduction expresses to her reader that she is offering her earliest memory and therefore inviting the audience into her entire childhood. This sense of opening-up runs through the memoir and gives a sense of involvement to her reader. She also attempts to relate her experiences with others, which makes the reader feel at ease with the memoir. Nora makes her audience feel included and allows them to find similarities between her story and theirs. Nora also informs the reader about her experience of The Great War in her memoir, giving her content both accurate timing and making the reader feel they have a sound knowledge of the period. This makes Nora’s autobiographical entry easier to follow and, despite not being an informative piece, sets a strong background of knowledge for the audience. The tone and language used through Nora’s biographical entry is formal, “Memory brings to mind that holiday again.” (Lumb, pg. 1) The formal tone used indicates that the memoir was published for a public audience, rather than a piece left for a family member. In this autobiography, Nora speaks for herself, she uses no third person narrative and addresses herself as “I”. This gives the reader an insight into her life on a personal level because the audience can then place themselves in her situation all through the memoir and relate to her struggles with money as part of her upbringing. Despite Nora’s formal and informative tone in her memoir, she is often led astray by her childhood memories and the giddiness she recalls feeling, “My aunties took me to the Church Hall Hospital, sat me at the piano in one corner and ordered me to entertain the troops. (..) I obliged with enthusiasm and then reaped the happy reward of going to each bed in turn and being given a sweet here and a silver threepenny bit/there and generally enjoying the profitable time.” (Lumb, pg. 3) Her comical persona often sneaks through the cracks of her informative and reminiscing memoir. I therefore feel that Nora’s memoir is a testimonial piece of work rather than informative. It can be assumed by reading Nora’s memoir that her motive for the autobiography was to give the working-class citizen a voice. Work Cited: Howarth, W.L., 1974. Some principles of autobiography. New Literary History, 5(2), pp.363-381.